We get a lot of emails and questions from our readers and podcast listeners, and we try to respond to as many of them as we can. Over the years, we’ve found that some questions come up more than others, and so this post is all about publicly answering some of these questions. These top 3 questions that we receive from our jazz community have been phrased in a variety of different ways, but I’ve gone ahead and phrased them in a way that best represents their basic implications. We have a lot of different resources available on Learn Jazz Standards to help you become a better jazz musician, so take note of the different links I provide. 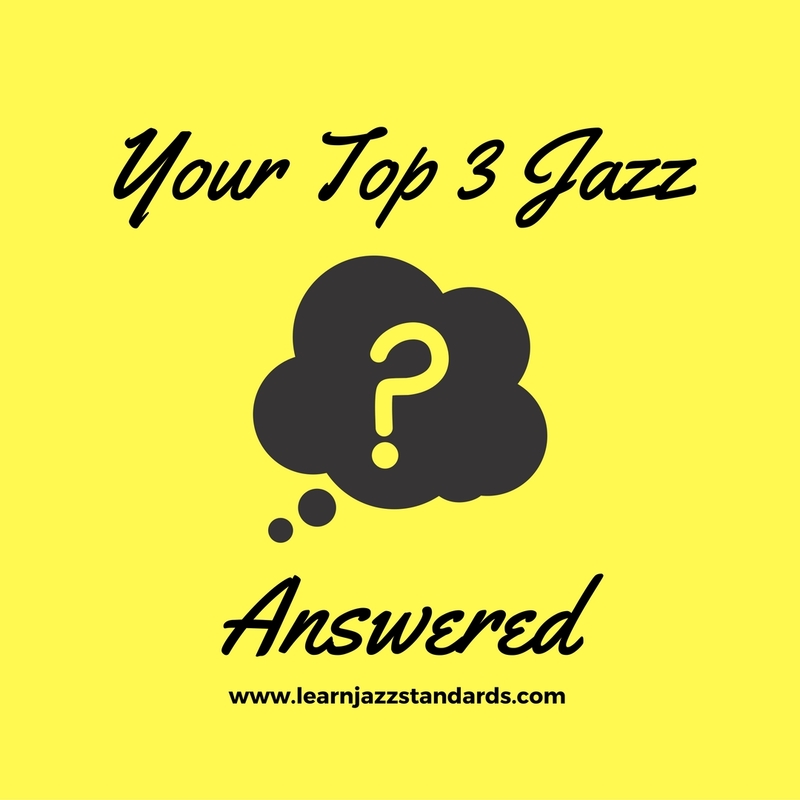 Here they are, your top 3 jazz questions answered! I want to become a better jazz player, but every time I sit down to practice I’m not sure where to start. What should I be practicing? This is a question that deserves two different kinds of answers. 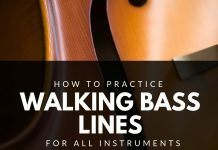 First I’ll mention some things that all jazz musicians should be practicing, but then I’ll talk about the root of the problem (not knowing what to practice). There are three categories that every jazz musician should be focusing on during their practice time. These three categories are essential to jazz improvement. Technique/Instrument proficiency: Though you might assume this has nothing to do with actually playing jazz, that couldn’t be further from the truth. You need to be working on the things that will help you navigate your instrument better and break down limitations. These tasks may look different depending on what instrument you play, but patterns, arpeggios, scales, and technical exercises are some basics. Jazz Repertoire: The base songs that make up jazz repertoire we call jazz standards. These are the vehicles in which jazz musicians use to improvise, and are the common platform for communication. These are important to your jazz education. Jazz Language: It’s important to be listening to jazz, and mimicking the great jazz players throughout jazz history and of our time. Some practices would include learning solos by ear and taking smaller phrases like licks into all 12 keys. If you are working on these things, your jazz language will improve. If you are focusing on these three categories, you should have a pretty good idea of what you need to be practicing to become a better jazz player. 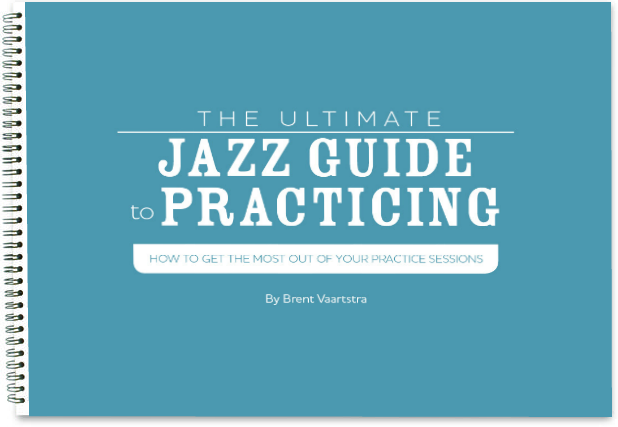 Also don’t hesitate to check out our 21 Quick-Fire Jazz Skills to Practice Today list. But of course the root of the problem is that you don’t have anyone to guide you. 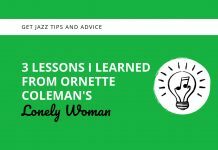 When you go alone on this journey of becoming a jazz player you make it 2X tougher on yourself. The best jazz players will tell you they had mentors and teachers to help guide them. Finding a good teacher is important to help you learn you instrument better, but it’s also important to have a mentor, someone to tell you what to do and how to do it in an organized way. If you feel like you are missing this in your life, you should check out our eCourse 30 Days to Better Jazz Playing coming out in October 2016. It’s all about 30 days of focused, goal-oriented practicing, led via audio and text. Check out the link if you want to learn more. Which jazz standards should I be learning? This is a fair question because there are a lot of jazz standards out there. It can be overwhelming and hard to pin down which ones are essential to know. Ultimately you should be learning standards that A. are commonly played in your local jazz scene and B. ones you are inspired to learn. However, there are some that are essential no matter where you live, or whether you like them or not. The two most popular lists on Learn Jazz Standards are 50 Jazz Standards You Need to Know and 20 Jazz Standards for Beginners. Be sure to check those lists out. Also be sure to check out our podcast episode 10 Important Jazz Standards You Need to Know and Why. In this episode I go in depth into these songs and explain why you should learn them. I’m not happy with my jazz solos and am not sure how to improve. 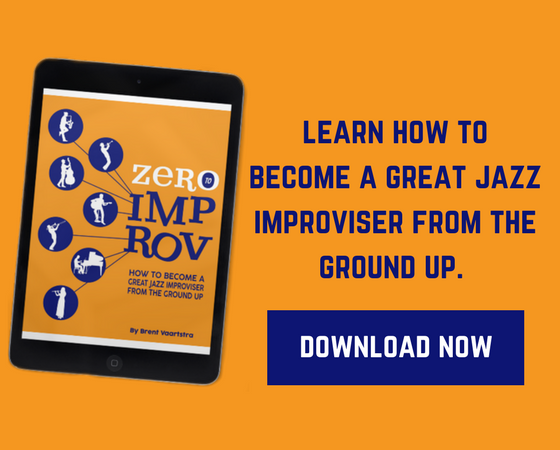 What should I be practicing so I can become a better jazz improviser? Everyone wants to become better soloists, so this is a pretty common question. If you we’re paying attention to the first question, I mentioned a few practices under “Jazz Language” that are incredibly useful for improving your jazz solos. Learning jazz solos by ear is one of the best practices to help you improve. It forces you to learn how a great jazz musician approached harmony, rhythm, and phrasing. When done by ear, rather than reading, it helps build your ear which is the most important tool an improviser can have. In addition, it requires lots of repetition to learn the material, which will help you internalize the music. If you need some help finding some good solo’s to learn, check out these 5. 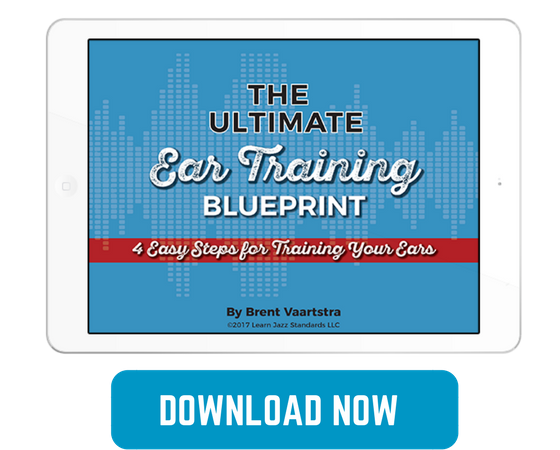 Learning licks (or smaller musical phrases) by ear breaks down phrases that work well over specific chord progressions. Simply find a recording by a jazz musician you like, and look for a line you find interesting. Learn it straight from the recording. The next step is to learn it in all 12 keys. This goes back to the internalizing and repetition aspect of practicing. Learning jazz etudes can be a helpful practice in an entirely different way. This time you are reading rather than learning by ear, but it is also important that you analyze jazz language. Etudes are an excellent way to do that, and I highly encourage everyone to have some around to study. We actually have an eBook called “15 Essential Jazz Etudes” I highly recommend. They were composed specifically to outline chord changes and spell out straight forward jazz language. That book is available for C instruments, upright and electric bass, and with guitar TABS. Listening to jazz is essential to playing better jazz solos. Do not underestimate this! You have to be constantly hearing the language so that you can be familiar with its’ sounds. If you aren’t doing this, you won’t get very far. What jazz questions do you have? Leave them in the comments section below. Thanks for all of your great advice and teaching! You have definitely convinced me to learn jazz standards by ear, instead of relying on my fakebooks. My question is, what do you do when the musicians you are playing with have learned a different version of the tune, with (slightly or significantly) different chord changes or sometimes even a slightly different structure? Maybe they learned from a different recording, or from a fakebook that doesn't line up with the recording(s) I learned a tune from.